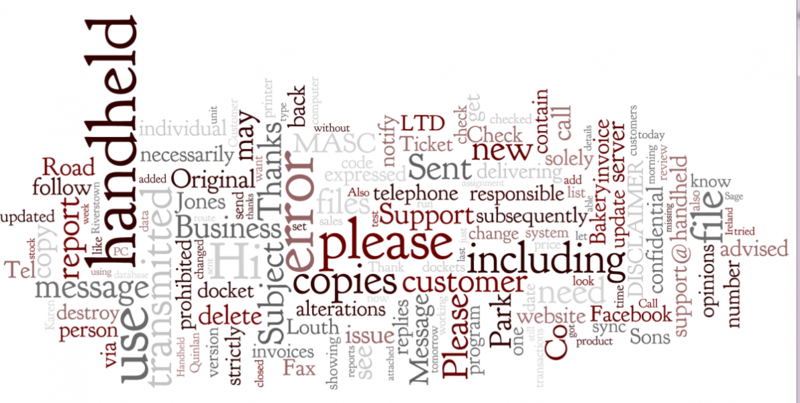 We were working on a dashboard for one of our customer and had investigated the use of http://www.wordle.net/ to generate word clouds for use in a dashboard. The site take a document and gives greater prominence to words that appear more often. In this sample we have used the last 4475 comment threads on our support forum to generate the above picture. If you received this error after uninstalling Chrome (or Firefox) browser you may also need to change the HTM/HTML association in the registry. 1. Start, click Run, type Regedit in the Open box, and then click OK. I have used datediff in access and vba but didnt not know that excel had the function DateDif which is very useful function in pay budgeting models. This routine is used to create an inventory forecast, which displays a 52 week forecast based on Sales orders MRP forecast and scheduled PO’s. I wrote this macro to populate an access database with the contents from a protected spreadsheet that was distributed to users in different countries. The Excel file was used for Sales Order Entry. I have removed sections for security purposes, however this should serve as a good starting point for you to start your own version. When using the Vlookup or HLookup functions in Excel you will sometimes have #N/A in the cell display as the value cannot be found. The normal syntax a user would enter in B9 would be VLOOKUP(A9,$A$2:$C$4,2,FALSE) to lookup the value of A9 in the list A2:C4, because the item exists the function returns the value.